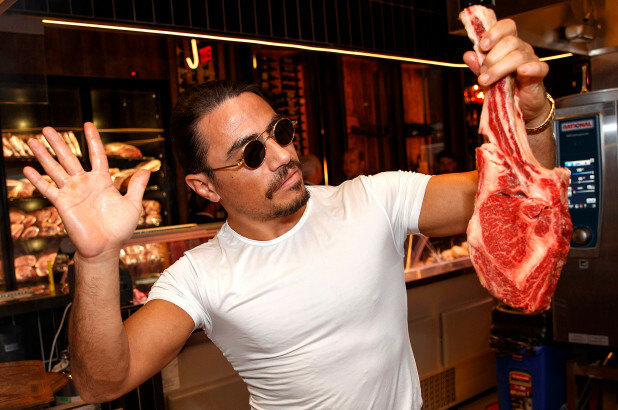 Both Temasek Holdings and GIC Private Limited are reportedly in talks to acquire a minority stake in a group of luxury restaurants, including Nusr-Et Steakhouse owned by internet sensation Salt Bae. Temasek Holdings is national wealth fund owned by the Singapore Government. While Temasek disputes being characterised as a sovereign wealth fund and prefers to be called an investment company, its sole shareholder is the Ministry of Finance. GIC is a sovereign wealth fund established by the Singapore Government to manage Singapore’s foreign reserves. Both the government-owned organisations are looking at co-purchasing D.ream Group, a subsidiary of Dogus Group which owns the steakhouses, along with London-based investment firm Metric Capital. The Financial Times reported that the investment would include about US$200 million of equity. The Nusr-Et steakhouse, that is part of the Group that Temasek and GIC may be investing in, became extremely hyped up last year after restaurant owner Nusret Gokce shot to fame after a video of him cutting a slab of meat and sprinkling salt with a flourish in his signature style went viral. The Turkish chef, who began to be called Salt Bae after the video began trending, opened several outlets of his restaurant in Miami, Manhattan besides Dubai, Abu Dhabi and Doha. The hyped up restaurant chain, however, has drawn flak for being a “ripoff” and has accumulated poor reviews from several customers and food reviewers alike. The New York Post was one such publication that wrote in a restaurant review that the dishes at the “underwhelming” restaurant were “overpriced”. Like the journalists at The New York Post, writers at Eater New York also reported that they “went away still hungry.” Other customers have also complained that the dishes are priced exorbitantly for meagre portions, and that the taste of the dishes isn’t extraordinary either. Many have opined that the restuarant chain is popular not because of the food but because the outlets are “Instagrammable”.